The diagnosis of MS is based on the demonstration of disease dissemination in space and time, which can be obtained on a clinical ground (i.e., two relapses in at least two different sites of the CNS) or, alternatively, on the combination of data obtained from clinical assessment and paraclinical and laboratory tests [including MRI, cerebrosp-inal fluid (CSF) analysis, and evoked potentials (EP)] (33,34). Due to its exquisite sensitivity for the detection of MS lesions at any stage of their evolution, cMRI is very useful for detecting subclinical involvement of multiple CNS sites (i.e., dissemination in space), as well as for detecting clinically silent, newly formed lesions (i.e., dissemination in time), when serial MRI scans are obtained (34). Another major criterion in the diagnostic work-up of patients suspected of having MS is the exclusion of alternative diagnosis. Although a comprehensive review of differential diagnosis of MS is beyond the scope of this chapter and, therefore, readers are referred to standard texts of clinical neurology for a detailed consideration, it is worth mentioning that cMRI also plays a central role in this context. All of this allows a diagnosis of MS to be made earlier and on a more solid ground than with clinical assessment alone. Figure 6 Axial fast-fluid-attenuated inversion recovery images (A and B) from a patient with multiple sclerosis. 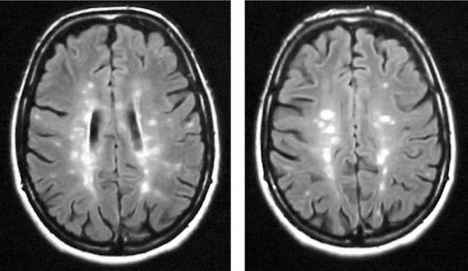 In (A) and (B), multiple sclerosis lesions appear as areas of increased signal. The suppression of the signal of the cerebrospinal fluid allows a better identification of the lesions located in the periventricular and juxtacortical regions. 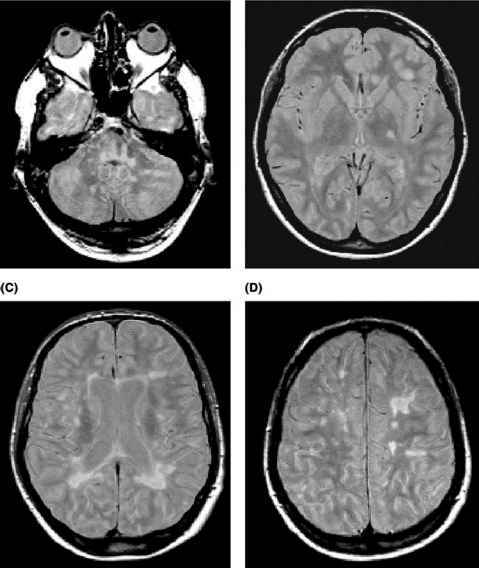 Figure 7 Axial proton density-weighted (A) and postcontrast (Gd DTPA, 0.1mmol/kg) T1-weighted (B) magnetic resonance images of the brain from a patient with multiple sclerosis. In (B), two patterns of enhancement are visible: a homogeneous one (indicating newly formed lesions) (continuous arrow) and a ring-like one (indicating reactivated chronic lesions) (dotted arrow). Abbreviation: Gd, gadolinium. others may appear as hypointense areas (usually chronic "bum-out" lesions) (Fig. 2). International consensus has been reached on criteria useful to identify T2 hyperintense (35) and enhancing (36) lesions (Table 1). MS lesions on MRI scans of the brain are frequently located in the periventricular regions, corpus callosum, and infratentorial areas (with the pons and cerebellum more frequently affected than the medulla and midbrain) (37), and are characterized by oval or elliptical shapes, an uneven distribution across the two hemispheres (contrary to what typically happens in hereditary and metabolic white matter disorders) and variable evolution on serial MRI scans (Fig. 8 and Table 2). In patients with primary progressive (PP) MS, brain lesions are generally few and small in size (38,39). As shown by several postmortem studies (40-43), the spinal cord is another CNS site frequently involved by MS lesions. 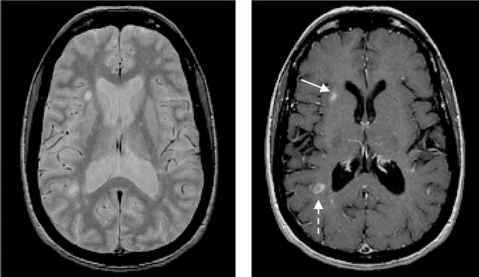 Such lesions can be detected by MRI in up to about 90% of patients with established disease (44-49), especially when fast short-tau inversion recovery (fast-STIR) sequences are used (Fig. 9) (49). On the contrary, fast-FLAIR imaging of the cord is only suboptimal (50,51). MRI-detectable lesions are more frequently located in the cervical and thoracic portions of the cord. Several studies identified typical imaging features of MS lesions in the cord (45,49) (Table 2 and Fig. 9): lesions are usually located peripherally, rarely exceed two vertebral segments in length, and occupy less than half of the cord cross-sectional area. Acute lesions are often associated to cord swelling (52), whereas chronic lesions are not hypointense on Tl-weighted images, probably because of compact cord tissue organization (53). Enhancing lesions are less frequently seen in the spinal cord than in the brain (54,55), but they are often associated with new clinical symptoms (54). The use of a triple dose (TD) of Gd and delayed postinjection imaging allow for the detection of an increased number of cord lesions (45,56). Asymptomatic cord lesions can be detected in 30% to 40% of patients at presentation with clinically isolated syndromes (CIS) suggestive of MS (57). In relapsing-remitting (RR) MS patients, multiple focal lesions are usually detected (Fig. 9) (45,54,58), whereas in patients with PPMS and secondary progressive (SP) MS, cord abnormalities tend to be confluent (45,58). In addition, PPMS patients may have diffuse hyperintensity throughout the cord (Fig. 9) (48,58). Imaging the spinal cord can be particularly helpful in making a diagnosis of MS in the rare cases where brain MRI is normal or equivocal (59) and in patients more than 50 years old or with nonspecific T2 abnormalities of the brain, because, contrary to what happens for the brain, cord lesions rarely tend to develop with ageing per se (44). 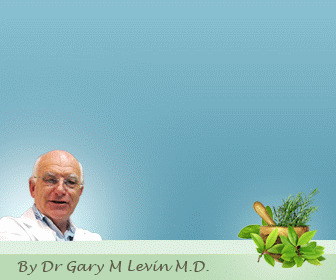 Abbreviations: Gd, gadolinium; NAWM, normal-appearing white matter. Figure 8 Axial proton density-weighted images from a patient with multiple sclerosis (A-D). In all the sections, multiple hyperintense lesions are visible. These lesions are located in the infratentorial areas (A), the periventricular regions (B and C), the corpus callosum (B and C), and juxtacortical areas (D), and some of them have an oval or an elliptical shape. They are also unevenly distributed across the two hemispheres. 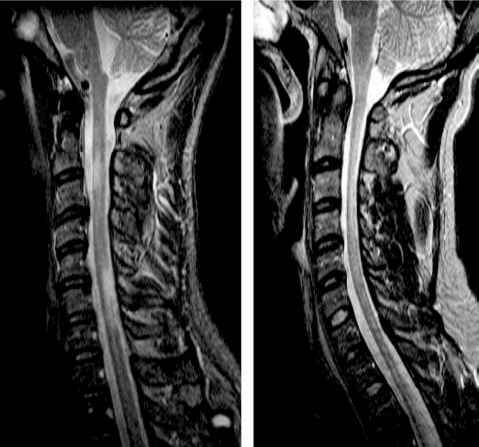 Figure 9 Sagittal fast short-tau-inversion recovery images of the cervical cord from a patient with relapsing-remitting (A) and a patient with primary progressive (B) multiple sclerosis. In (A), two hyperintense lesions, one at C3 to C4 and one at C7 to C8, are visible. In (B), a diffuse hyperintensity extending from C2 to C4 can be seen. 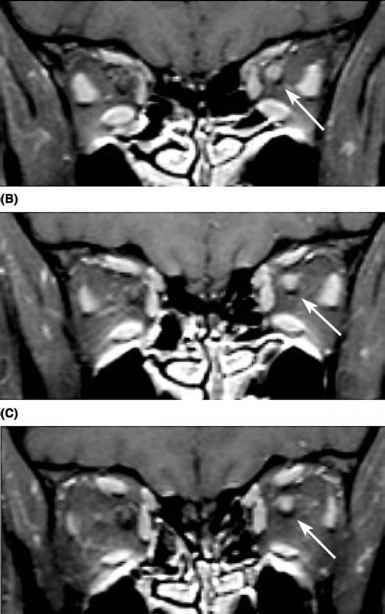 Figure 10 Enhanced fat-saturated Trweighted image (A-C) showing enhancement in the left optic nerve (arrow) due to acute optic neuritis in a patient with multiple sclerosis. and SPIR-FLAIR allowed to detect lesions in all symptomatic nerves imaged, and lesion lengths were also largest on SPIR-FLAIR images (66). In MS patients, increased T2 signal can be seen for a long time after an episode of ON, despite improvements in vision and visual EP, and even in the absence of acute attacks of ON (67). T1 hypointense lesions are not seen in the optic nerve (53), whereas Gd enhancement is a consistent feature of acute ON (68,69). In MS, the use of a TD of Gd improves lesion detection in the optic nerve (53). • Criteria of Paty et al. (70): presence of at least four T2-hyperintense lesions or three T2 lesions, of which one is periventricular. These criteria are characterized by high sensitivity but relatively low specificity (72). • Criteria of Fazekas et al. (2): presence of at least three T2-hyperintense lesions with two of the following characteristics: an infratentorial lesion, a periventricular lesion, and a lesion larger than 6 mm. These criteria showed both high sensitivity and high specificity when evaluated retrospectively in definite MS (73), but perform less well in a prospective fashion when applied in CIS patients (74). • Criteria of Barkhof et al. (71): presence of at least three of the four following features: presence of at least one Gd-enhancing lesion, at least one jux-tacortical lesion, at least one infratentorial lesion and three or more periventricular lesions. In 2000, Tintore et al. (75) slightly modified these criteria by allowing for nine T2 lesions to be an alternative for the presence of an enhancing lesion and reported a high specificity of these criteria for CIS patients converting to clinically definite (CD) MS. The most recent diagnostic criteria for MS (34), proposed by an International Panel (IP) of MS specialists, rely on an objective evidence of lesion dissemination in space and time, as did the previous ones by Poser et al. (33). As a consequence, cMRI of the brain gained an additional role in the diagnostic work-up of patients suspected of having MS. For the demonstration of dissemination in space, the IP decided to apply the modified Barkhof-Tintore criteria. When these more stringent imaging criteria are not fulfilled, the IP allowed the presence of at least two T2 lesions plus the presence of oligoclonal bands in the CSF. However, Tintore et al. (76) recently suggested that this alternative criterion may result in a decreased diagnostic accuracy, since they reported in CIS patients followed for three years a specificity of only 63% for the development of CDMS. In the IP criteria (34), temporal dissemination of the disease can be demonstrated either by the presence of at least one enhancing lesion on an MRI scan performed three months or more after the onset of the clinical event or by the presence of a new T2 or an enhancing lesion on an MRI scan performed six months or more after the onset of the clinical event (Fig. 11). 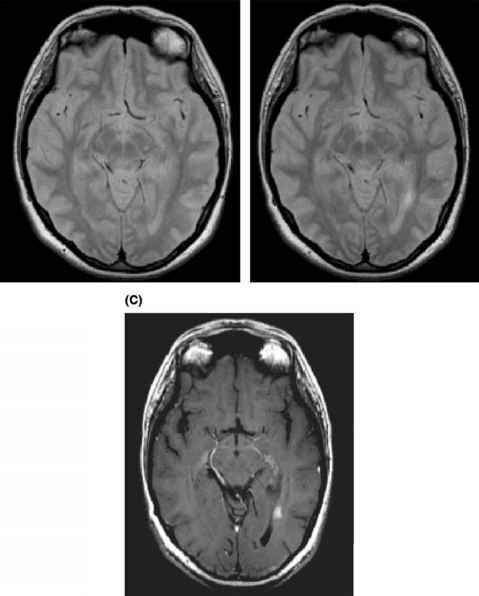 Figure 11 Axial proton density-weighted images of the brain from a patient at presentation with a clinically isolated syndrome suggestive of multiple sclerosis, at baseline (A) and after a follow-up of six months (B). In (B), a new hyperintense periventricular lesion is visible. On the postcontrast Tl-weighted scan obtained after six months from disease onset (C), this lesion is enhanced. This demonstrates disease dissemination in time. evidence for dissemination in time, one study showed that 82% of CIS patients who fulfilled the new MRI criteria for MS after three months had developed CDMS after three years (82), and another found that 80% of those CIS who fulfilled the same criteria after one year developed CDMS after three years (76). Due to the relatively recent introduction of MRI in the clinical assessment of patients with MS, there are only a few mid- and long-term studies that investigated the prognostic role of this technique in CIS patients (62,63,83). Although the results of such studies are likely to be affected by dropouts and relatively poor image resolution at study entry, it can be stated that the presence of one asymptomatic T2 lesion on MRI of the brain at presentation is associated with an increased likelihood that MS will develop in the subsequent 5 to 14 years (62,63,83,84). The study with the longest follow-up (63) showed that, after a mean of 14.1 years, CDMS developed in 88% of CIS patients with abnormal MRI at presentation and in only 19% of those with normal MRI scans. These data have been recently confirmed by Minneboo et al. (83), who showed, after a median follow-up of 8.7 years, conversion to CDMS in 62% of CIS patients with abnormal MRI at presentation. These results, on the one hand, indicate that demyelinating events may remain monophasic even in patients with MRI evidence of disease dissemination in space and after moderately long-term follow-up and, on the other, that a normal MRI scan at presentation does not rule out MS completely in CIS patients. Contrary to what happens for subsequent clinical relapses, the number (volume) of T2 lesions on baseline MRI scans from a CIS patient increases the likelihood of developing "fixed" disability on the subsequent 5 to 14 years (63,83). In the study by Brex et al. (63), analysis of lesion loads at years 5, 10, and 14 also showed that the strongest correlation of final disability was with the year 5 measure, and that subsequent changes in lesion load appeared less relevant. In the study by Minneboo et al. (83), EDSS 3 was reached in 48% of patients with four or more lesions at presentation, and in 55% of patients with 10 or more lesions. Minneboo et al. (83) also showed that the likelihood to reach EDSS 3 was best predicted by the presence of at least two infratentorial lesions, suggesting that the distribution of lesions may also be an important prognostic factor. Recent MRI studies have shown that irreversible tissue loss/damage is an early event in the course of MS (85-101). Although definitive data are still lacking, it is likely that the extent of such irreversible tissue damage might also convey important prognostic information. Dalton et al. (85) prospectively followed 55 CIS patients for three years: after the first year (86), patients who evolved to MS according to the IP criteria (34) developed significantly more ventricular enlargement than did those without disease evolution; after three years (85), 53% of the patients had evolved to MS, and at this time, increased ventricular volume and GM atrophy were found in patients developing MS compared to those who did not evolve. Similar findings were also demonstrated when brain atrophy was measured in a trial of patients at the earliest clinical stage of MS (87): mean percentage brain volume changes for patients on placebo was —0.83% during the first year, —0.67% during the second year, and —1.68% during the entire study period; corresponding values for treated patients were —0.62%, —0.61%, and —1.18%, respectively. The changes in brain volume were significant in both groups at all timepoints. Compared to normal controls, cord area was found to be only slightly reduced in patients at presentation with CIS and an abnormal MRI scan, but cord area remained stable over one year after disease onset (88). MRI-detect-able atrophy of the optic nerves is also seen following an episode of ON (89-92). Reduced MTR values have been detected in the normal-appearing brain tissue (NABT) from patients at presentation with CIS (93,94), and the extent of these abnormalities was reported to be an independent predictor of subsequent disease evolution in one of these studies (93). However, these observations were not confirmed by later studies (95,96). Recent works in CIS patients have found no abnormality in cervical cord MTR (97) but abnormal measures of DW in NAWM (98), which however were not predictive of subsequent lesion dissemination in time (as defined by McDonald criteria) at 3 and 12 months (98). These MTR and diffusion findings suggest that subtle NAWM brain damage may occur at a very early stage in CIS patients, but may not predict short-term lesion development. Two recent 1H-MRS studies (99,100) have shown that metabolic changes may also occur in patients at the earliest clinical stage of MS. Filippi et al. (99) demonstrated a reduction in the concentration of NAA of the whole brain, whereas Fernando et al. (100) found increased ml and Cr in NAWM. These studies suggest that axonal pathology and glial proliferation can be early events in MS. In CIS patients, nonconventional MRI quantities might reflect clinical status better than does lesion load. Recently, Arevalo et al. (101) reported a decrease of NAA/Cr ratio and parenchymal fraction of brain in cognitively impaired CIS patients when compared with CIS patients with normal cognitive performance, whereas no difference was found between the two groups in terms of cMRI metrics. Using fMRI, an abnormal pattern of movement-associated cortical activation has also been described in CIS patients within three months from disease onset (102,103). In a one year follow-up study of CIS patients (104), those who developed CDMS had a different motor fMRI response at first presentation when compared with those who did not (Fig. 12), suggesting that activation of the regions classically involved in the performance of a given task seems to be a favorable prognostic factor, whereas a widespread recruitment of additional areas seems to be associated with short-term disease evolution.